Digital Orbital Shaker is compact and packed full of high-end design features making it a versatile shaker for a vast range of protocols. polypropylene bags, sheets or flat tubing up from 0.01 -0.8mm thick. Combines a multi-function electronic counter with a Sharpie® pen for marking to prevent missing or double-counting colonies. Maximum speed and flexibility, the Heathrow Scientific Gusto® high speed mini centrifuge has a compact design that fits any workstation. The industry’s first high-speed centrifuge and magnetic stirrer, combined into one unit. This design innovation enables a substantial cost savings. The Magnetic Induction Stirrer is motor-less, using advanced coil technology that produces the strongest magnetic coupling and has no moving parts. A small Magnetic Stirrer designed for laboratories in the bioscience, medical, and chemistry fields, for blending aqueous solutions. The Mini Vortexer by offers immediate vortex shaking for a variety of tube sizes. Touch start operation enables exceptional performance using one hand. Packed with features for comfortable and accurate pipetting the powerful pump offers rapid dispensing, and is microprocessor controlled. Sea Star® Digital Orbital Shaker is compact and packed full of high-end design features making it a versatile shaker for a vast range of protocols. The Sprout® is ideal for quick spin downs, micro-filter cell separations and HPLC samples. It is compact, easy to use and comes with a host of extras. 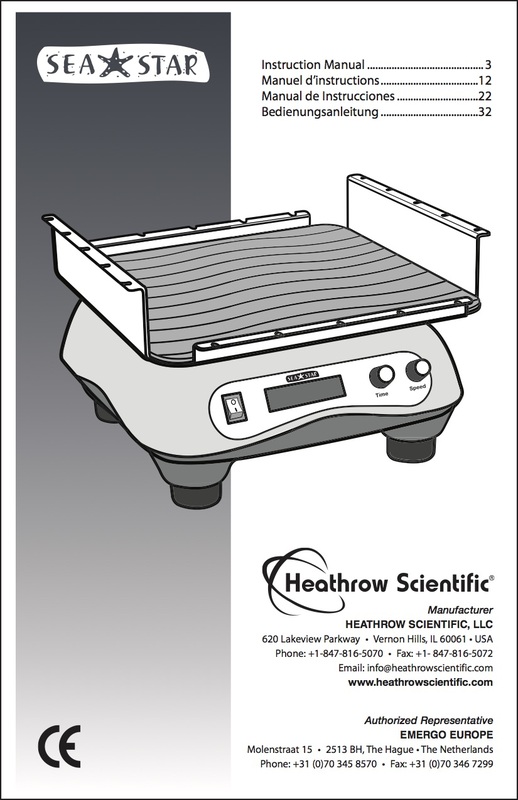 Sprout® Plus Mini Centrifuge by Heathrow Scientific is loaded with features that bring increased efficiency to the lab. This sleek and modern designed vortex mixer is capable of meeting the mixing requirements of the most popular test tubes used in today’s lab.